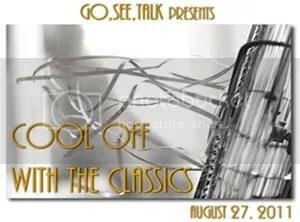 Cool Off With The Classics (via Let’s Go To The Movies) | The Cineaste's Lament. A solid list of films from Hollywood’s Golden Age. If you haven’t seen them yet, what are you waiting for? This entry was posted in Uncategorized and tagged a-day-at-the-races, a-streetcar-named-desire, all-about-eve, black-and-white, blogathon, cary-grant, Casablanca, classic, cool-off-with-the-classics, duck-soup, films, gregory-peck, groucho-marx, Humphrey Bogart, im-no-angel, ingrid-bergman, its-a-wonderful-life, james-stewart, mae-west, marlon-brando, marx-brothers, movies, my-little-chickadee, shirley-maclaine, the-apartment, to-kill-a-mockingbird, viven-leigh, w-c-fields. Bookmark the permalink.